Human activities have caused worldwide loss and fragmentation of natural habitats, resulting in the decline and isolation of wild populations, consequently increasing their risks of extinctions. 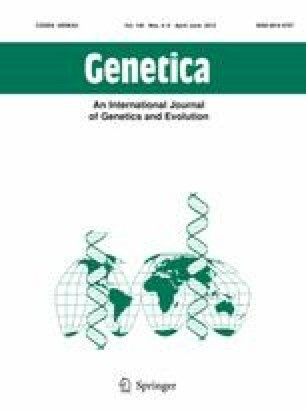 We investigated the genetic consequences of anthropogenic effects on the Sichuan snub-nosed monkeys (Rhinopithecus roxellana) in the Shennongjia Nature Reserve (SNR), which is a small and isolated distribution of R. roxellana in China and would continue to be threatened by habitat degradation and loss, using extensive sampling and 16 microsatellite loci. High level of genetic variation was observed from 202 individuals collected from three R. roxellana populations (SNR population, Sichuan-Gansu population and Shaanxi population). However, R. roxellana in SNR showed the lowest genetic diversity. The likelihood analysis of migration/drift equilibrium indicated that the SNR population suffered much stronger effect of drift than the other two populations, indicating that small populations are prone to be affected by drift. The STRUCTURE analysis identified two clusters, separating the SNR population from the other two populations, suggesting an increasing drift-induced differentiation between SNR and the other two populations. Bottleneck tests revealed that R. roxellana in SNR experienced a severe population decline (37-fold) during the past 500 years as a consequence of human population expansion. The current effective population size (Ne) in SNR is less than 100 and the ratio of Ne to the census population size is approximately 0.08. Based on our findings, we suggest that the SNR population should be monitored systematically and considered as an important conservation and management unit. The online version of this article (doi: 10.1007/s10709-012-9662-9) contains supplementary material, which is available to authorized users. This project was supported by the Natural Science Foundation of China (No. 31130061), the Project of Public Benefit (No. 201104073), National Basic Research Program of China (973 Program: 2007CB411600), the Innovation Project of the Chinese Academy of Sciences (KSCX2-YW-R-091), Hubei Province Key Laboratory of Conservation Biology of Shennongjia Golden Monkey, and the joint doctoral program of the Max Planck Society and the Chinese Academy of Sciences (Z-F. C.). We thank Dr. K. Guschanski for experimental guidance. We also thank G. Schubert, M. Arandjelovic, K. Langergraber, J. Bhagavatula, L. F. Zhu, and Y. B. Hu for helpful discussions.